The Future of Pharmacy Award is awarded to up to three pharmacists per year who have been in practice less than five years and who exhibit strong leadership skills, the initiative to become a role model, and offer extraordinary promise to the profession. This year’s recipient, Cole Mondor, Owner and Pharmacy Manager of Mint Health + Drugs, Church Street shows that promise. Although opening your own pharmacy, only three years after graduating from of Alberta Faculty of Pharmacy is no small feat, it is Cole’s dedication and life-long commitment to working with patients that had a myriad of health complexities including addiction, mental health conditions, blood borne infections, and various other chronic disease states in Edmonton’s inner-city that shows why he is deserving of this recognition. 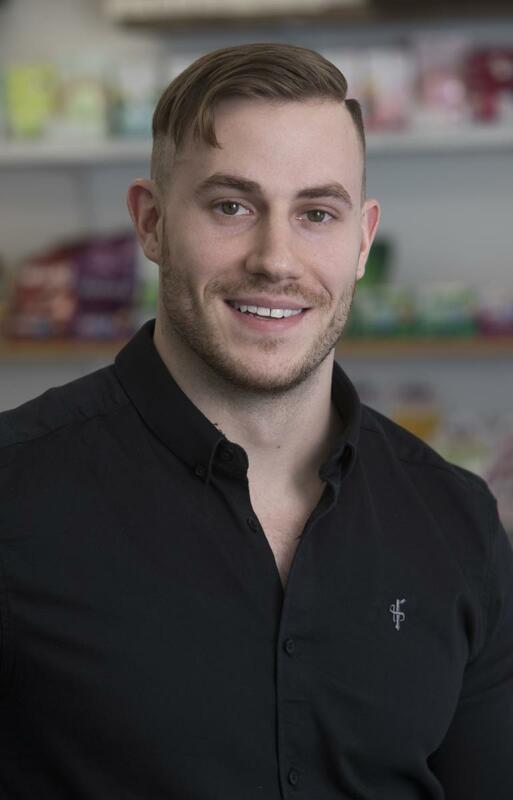 “It was as a pharmacy student that Cole developed his passion to help this vulnerable population and saw the opportunity to make a wide-reaching impact in the lives of these patients by thinking outside the box in terms of what a conventional pharmacist’s role was,” said Cole’s nominator and Owner of Mint Health +Drugs, Ron Wai. As a pharmacist, Cole sees the importance of being an integral part of the community to promote the health and wellness to all residents. This is evident even from the unique location of the pharmacy which is situated within a recently restored and designated heritage building (previously the Phyllis Grocery building) and the retro interior that offers a gathering place reminiscent of the pharmacy’s and general store’s of the 40’s and 50’s.